When the time came to refresh the computer hardware in Drake University's labs, the Infrastructure and Security Services (ISS) team turned to virtualization to reduce their hardware needs while providing students with anytime, anywhere access to applications on their own devices. Many of the students at Drake bring Mac laptops to campus, whereas much of university's software is Windows-based. 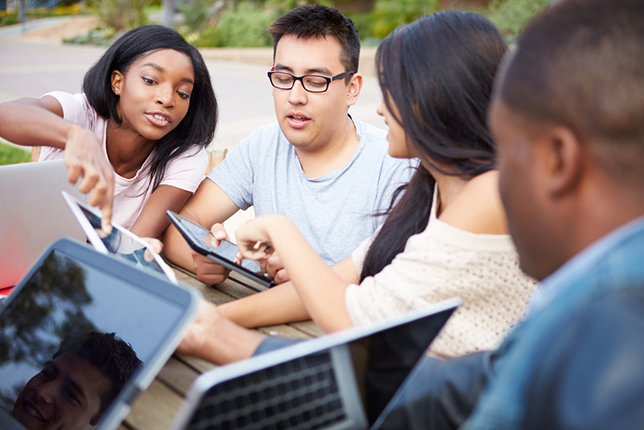 The university wanted to implement a virtualization system that would let students access applications regardless of the type of device they were using. "We were looking essentially for a seamless environment that would work for both Windows or Mac users, or really on any platform — iPads, mobile phones," said Chris Mielke, team lead of ISS Infrastructure Services. The team also wanted to focus on virtualizing applications rather than full desktops. "We didn't necessarily want to have a traditional VDI [virtual desktop infrastructure] environment where you throw an entire Windows image to the end user," said Mielke. "We just wanted to be able to publish that application." Virtualized desktops for the library's public workstations. The College of Business uses various office applications and statistical analysis software packages. Most of those applications are based on the Windows operating system, whereas an increasing percentage of the students in the college use Macs. To access the applications on their laptops, the students had to install virtualization software directly on their laptop, then install Windows as a virtual operating system, and finally install the office application. "It was a very time consuming process from an administrative standpoint, and it was also pretty confusing for our students who are used to working on a Mac and now they have to run Windows on their Mac," said Mielke. The Law School runs a tax clinic for the public, and students working in the tax clinic were required to use specialized tax software that ran on a single PC on campus. They couldn't install the software on their laptops, so clients were forced to visit the university for the tax clinic with carefully scheduled appointments to avoid conflicts. Meanwhile, the students in the College of Arts and Sciences were harnessed to the university's lab computers to run the ArcGIS software to work with data they had collected in the field. "They would have to go out into the field with a GPS, a pad of paper and a map. They would take all of their readings with the GPS, and then they would come back to the lab and input all of those data points," said Mielke. If any of the data was measured incorrectly or needed to be updated, they would go back out to the field, take new readings, go back to the lab and re-enter them, in a labor-intensive process that could take days to complete. In its search for a virtualization solution, the team ended up choosing Citrix XenDesktop based on the company's expertise in virtualized application delivery. "What really pushed us toward Citrix was the fact that they had a much more mature solution in terms of providing just applications to the users versus having to push an entire desktop out to a user," said Mielke. "Because the Mac users don't really want to see the Windows environment. They just want to see an application." The university began piloting the Citrix virtualization in January 2014, and the system was very successful for the College of Business, Law School and library. Students in the College of Business no longer needed to install virtualized Windows and Windows applications directly on their laptops, which reduced the time IT staff needed to spend helping students get their software set up from hours to minutes. "It used to take several evenings to get all of the students running the Windows applications on their Mac," said Mielke. "Now, IT staff go to each class for a 5- to 10-minute training session to show them how to install Citrix Receiver and get to their application." Virtualization was "revolutionary" for the Law School's tax clinic, according to Mielke. Students could go to their clients, rather than having the clients come to them, and they could access the tax software through Citrix application delivery. "It saved them tons of time and allowed them to service a lot more clients that year," he said. And by virtualizing the library's public workstations, the IT staff could manage all of the computers centrally with a single master image, rather than updating each computer individually. While the pilot projects for the College of Business, Law School and library were successful, initial tests for the pilot of virtualized ArcGIS in the College of Arts and Sciences "failed miserably because the servers couldn't provide the graphics processing power in order to provide a useable end user experience," said Mielke. Choice Solutions, which had partnered with the university to architect the virtualization solution, suggested test-driving the NVIDIA GRID K2 card, which provides graphics acceleration for virtualized desktops and applications. "So we got one of those and installed it, and immediately everybody was very, very happy using ArcGIS, and it really revolutionized the way they did work with it," said Mielke. Once the students could access ArcGIS as a graphics-accelerated, virtualized application, they could run it in the field on an iPad tethered to a mobile phone and enter their readings while they were in the field. "Something that used to take three or four days now takes them an hour or two," said Mielke. "It has completely transformed the way that they use that application." In the future, the university may virtualize more applications and has enough capacity in its infrastructure to support expansion.